Backed by dramatic music and excellent sound effects, Griff Rhys Jones's reading of Little Wolf's letters home telling of the latest adventures of his friends Yeller, Normus Bear and Stubbs Crow is first-class entertainment. 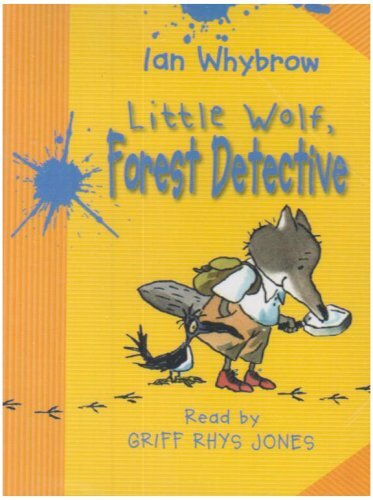 That such an apparently visual book, which seems to depend on the jokes of letters full of mis-spelt words and splodged all over with ink blotches, works so well when read aloud is a tribute to Ian Whybrow's good writing which makes the word play as sure aurally as visually. Solving the mysteries in Frettnin Forest provides great material for these likeable, if somewhat hopeless, characters.